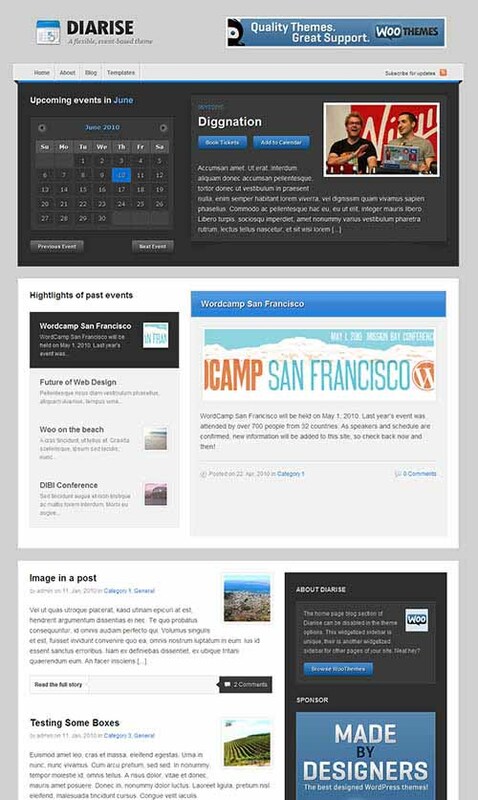 Diarise WordPress theme is a event management WordPress theme from WooThemes. Diarise showcases your company/organisation’s events in a neat home page tabber, along with past events, or featured posts in a slick scroller. You can easily add events straight to your calendar application and link your events to booking forms. The possibilities are limitless for churches, event organizing companies, sports clubs, schools, etc.